Wow! Only 18 days before my TOSRV ride! But am I ready? Has all the training moved me closer to achieving this goal? On April 29th, I set out with a friend to ride a century and find out the answers to those and many other questions. I spent hours on Google Earth and MapMyRide to plan this route, and as my riding partner Rick later told me, I did well in my planning. I knew the temperatures were going to be a record high (ended up being 90 degrees in parts of TN) so I needed a route that hit plenty of convenient stores, avoided the big climbs and stayed off busy roads as much as possible. No easy task with the building boom in Middle Tennessee. Also, since I don’t have a Garmin, I had to memorize the route so it needed to be as simple as possible. If you’re curious, here’s the link to MapMyRide. We ended up leaving around 6:45 AM CST; later than I’d hoped. Winds were from the south around 6 MPH and the temperature was already in the low 70’s. Had this been a summer ride when we had been acclimatized to TN’s hot/humid weather, we wouldn’t have been as anxious. We knew our only shot at beating the heat & finishing was to ride smart. We reached Eagleville (38 miles) averaging 17.4, which was very good considering what our day held. But I wasn’t out to set PR’s or hit Strava segments. After Eagleville, the wind picked up and we began our trek onto new roads. The humidity was thick and it was hot. We pushed past Unionville and stopped at the halfway point so Rick could check some cell calls he missed. The winds were gusting at 16 MPH and it was probably about 80 degrees. I think we both wondered what we’d gotten ourselves into! My goal was to down 2 water bottle of Gatorade as well as pop 2 Hammer Endurolytes by the time I hit Eagleville, which I accomplished. Rick, on the other hand, wasn’t drinking as often, something he even admits he gets lax on, and I wonder if this attributed to his heat issues later. I also packed some Advocare “Rehydrate” to use when we hit the 70 mile mark. Great stuff! I make my own bike food (will post the recipe in the future) and they are the size of ping-pong balls; makes it easier to handle and eat while riding. Rick, whose sense of humor is as twisted as mine, dubbed them, “Jay’s Balls,” which gave us plenty of comedic material for the remaining miles! At Eagleville, our first stop, I filled my water bottles with Gatorade, wolfed down some “Jay’s Balls,” ate a banana, plus another OTC carb food. At our last stop, around the 88 mile mark, I guzzled more Gatorade, consumed a huge bag of Lay’s, another banana, and more “Jay’s Balls.” I was feeling good, amazed that my legs felt strong and not close to cramping, and that the heat wasn’t zapping me. Rick, on the other hand, was having a tougher time. For the remaining 12 miles, we kept the pace moderate and stopped every now and then so Rick could splash water on his head and relieve the cramps in his calves. I’m not slamming Rick; it just happened, and I know that when it comes to heat & endurance events, it could have been me. Funny how one minute you curse the wind and the next it’s your ally. Such was the case when we started heading north around the 55 mile mark. With the tail wind, I could spin comfortably (probably 90-95 RPM) and maintained 20-23 MPH with ease. More importantly, I began to feel confident that we’d finish. 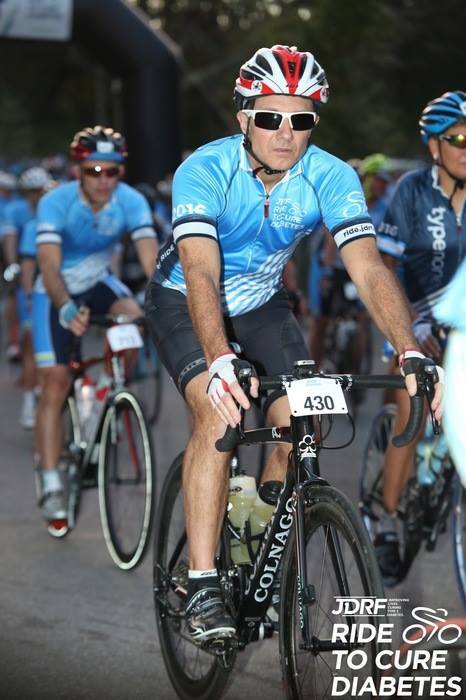 Energized, I was tempted to “Go for it!” but being over 50 has taught me to be ride smarter, so I kept it easy knowing full well that if my legs cramped, which has been an issue in the past, I’d be toast. Another reason was that the heat was getting to Rick. One thing I will say about Rick is that he’s a trooper; he didn’t whine (okay, once he bemoaned about me being only 153lbs!) but he kept on going. POSITIVE: My training (long distance rides on weekends; high-intensity training (HIT) during the week) was paying off. POSITIVE: My hydration/food plan was a success. No cramps and I felt strong at the end. 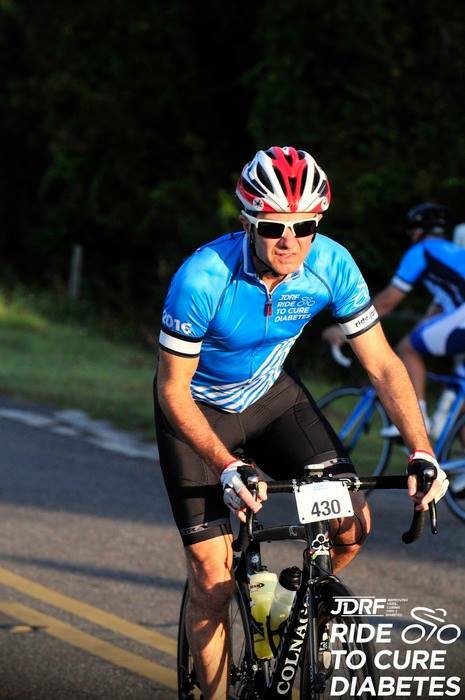 POSITIVE: Completing a hot & humid 102.9 miles at 17MPH average in 6 hours was a huge confidence booster. I’m not getting cocky but I’m ready. NEGATIVE: Chaffing. Yeah, I got a bad rub on my left cheek that really stung at the 90 mile mark. I’ve never had an issue with this before but now I do. Time to research some chamois cremes. Thanks for reading! More to come & wish me luck on TOSRV!! Posted on 3 May 2017 by J.E. LowderPosted in trainingTagged athletics, bike riding, Century bike rides, cycling, Cycling Over 50, TheMobsRule, TOSRV2017, TOSRV56, TrainerRoad, training.